David Markin took over Checker Cab after his father died in 1970. David Markin died Thursday and was 82. Former Checker Motors Corp. owner David Markin, 82, died Thursday after a monthlong illness, MLive.com reported. He was a resident of Palm Beach, Fla., and Dorset, Vt.
From 1922 to 1982, Checker produced the iconic yellow checker-bordered taxicab, which appeared in many black-and-white movies set in Chicago, New York and other cities. Checker was founded by Markin's father, Morris Markin. 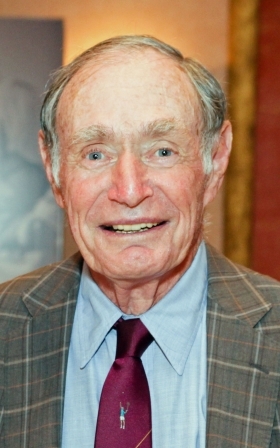 David Markin took over the company after his father died in 1970. From 1989 to 1996, Markin was president and CEO of Great Dane Holdings, whose subsidiaries included Checker Motors; Yellow Cabs in Chicago, Minneapolis and Pittsburgh; Continental Air Transport of Chicago and others. Checker, the small, privately owned business in Kalamazoo, Mich., produced cabs that were spacious and used heavy-duty components, making the cars reliable. But beginning in the 1970s with the Arab oil embargo and higher fuel prices, the company's fortunes began to sour as customers sought lighter vehicles. The company built its last cab on July 12, 1982, but continued to sell modular assemblies and metal stampings to the Detroit 3 and a few suppliers. Checker Motors filed for Chapter 11 bankruptcy protection in January 2009 and the company officially closed in June of 2009. Markin, born Feb. 16, 1931, also served as president of the United States Tennis Association in 1989 and 1990. David Haggerty, CEO of the USTA, said in a statement Thursday, according to MLive.com, that Markin "employed his remarkable talent and keen vision in chairing the U.S. Open site committee in the mid 1990s, which planned and executed the revitalization of the National Tennis Center, including the construction of Arthur Ashe Stadium, the centerpiece of the U.S. Open and one of the finest sports facilities in the world." Markin was a member of the USTA Major Construction Oversight Committee, MLive.com said. Since 2009, Markin was a leader with MorseLife, an organization in Palm Beach County, Fla., that focuses on the needs of senior citizens. He was named chairman last year and was to have served through 2014. Markin became involved in MorseLife after serving meals to seniors in need at Passover, MorseLife said in a statement. Markin is survived by his wife, Tracy, and six children, according to MorseLife.